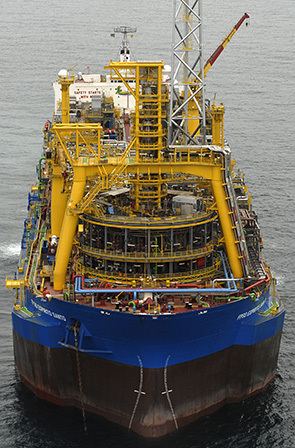 Brazil is significantly increasing its energy production from deep waters. Our Parque das Conchas project in 1,800 metres of water has a production capacity of 100,000 boe a day using a floating production, storage and offloading vessel. Construction is under way on a second phase of the project that will deliver up to 35,000 boe a day. Development of the country’s service industries for such projects is important to Brazil. We work with the government, the national oil company Petrobras and organisations involved in building industrial capacity to help more local suppliers compete internationally. More than a third of project expenditure at Parque das Conchas was with Brazilian suppliers.